Rainsong is a collection of short stories by Pratyaksha, translated from Hindi by the author herself. To my mind, it is almost like reading thoughts or viewing dreams through the written word. It is like a palette of vivid colors. These pieces have strong visuals, portrayed through vignettes of imagery, feeling, nuance, or scene. The stories are arranged in nine sections: each section has one long story and two or three shorter pieces of similar theme. The author compares the layout to a plate of food: the short pieces are like hors d’oeuvres, adding piquancy, aroma, and flavor to the main course, which is the long story. The prose does not lose its authenticity or beauty in translation. In “I am in love,” a woman finds the telephone number of an old lover or friend and calls him. As he speaks to her, his loneliness, sorrow, and desperation tumble out. 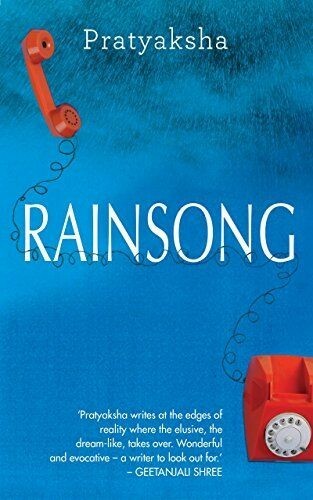 In the title story, “Rainsong,” the writer gets a phone call from a mysterious woman named Rain every night. Her voice reminds him of all the things he wants, or has lost, in his life. He dreams of this voice, and it takes him back to his childhood years. It reminds him of his mother’s voice. This story made the strongest impression on me, especially its treatment of the complexities of growing up and discovering one’s sexuality, the strong attraction to one’s father, the jealousy for the mother, the realization that parents are eventually just human beings, full of flaws, dreams, and expectations. This collection need not be read cover to cover, as I feel there is no continuous narrative one needs to follow. Rather, one can dip into it time and again for the poetic language and the unusual imagery, and leave the need for reasoning behind. The complexities of the stories reveal themselves in little nuggets and can be digested in small portions. I found that while some pieces feel a bit overworked, perhaps to achieve a touch of magic realism, most of them conveyed a sense of poetic escapism into the fantasy world of the characters in the book. The collection has been rightly described as a plateful of food. Take what you enjoy and leave out what you don’t. But the overall experience is very satisfying. 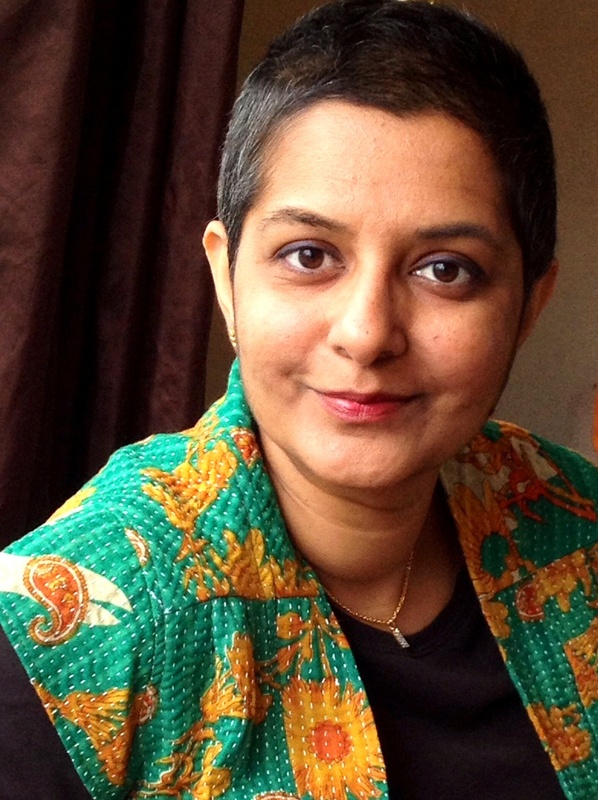 Pratyaksha, the chief manager finance with Power Grid Corporation, is an award-winning writer who has previously published two collections of short stories in Hindi, “Jungle ka Jadoo Til Til” and “Pahar Dopahar Thumri”. Her stories have been translated into many Indian languages. She received the Krishna Baldev Vaid Fellowship in 2013.